Toyota recently announced that as of April 30th this year its global hybrid sales had reached a staggering 9.014 million vehicles, a feat that few would have predicted when Toyota’s first hybrid rolled off the lines almost 20 years ago. It is an especially impressive accomplishment when you consider that they only passed the 8 million mark 9 months ago, making this the second time that Toyota has sold over 1 million hybrids in less than a year. Let’s take a closer look at Toyota’s long and proud history of hybrids thus far. Toyota’s very first hybrid was known as the Coaster Hybrid EV and was released in March 1997 to relatively little fanfare. The Coaster was followed only a matter of months later by Toyota’s second ever hybrid – the first generation Prius – and the rest is history. Not only has the Prius taken the automotive world by storm, but Toyota has been at the forefront of green industry practices ever since, now boasting an expansive range that includes 33 hybrids and one dedicated plug-in. First released in October, 1997, the Toyota Prius was the world’s first mass-produced hybrid passenger vehicle and over the course of almost 20 years it has played a vital role in making hybrid vehicles attractive to the mainstream. Aside from making drivers think about their vehicle’s emissions and finally giving them a greener option, this revolutionary vehicle has also sparked massive investments in green technology across the auto industry and beyond. The Prius has now sold over 3.7 million units and remains the number one selling hybrid vehicle worldwide. In the 20 years since the first Coaster and Prius, Toyota’s ever-expanding hybrid community has certainly made a positive impact. Toyota estimates that the use of their hybrid vehicles has meant 67 million fewer tons3 of CO2 emissions released into the atmosphere and roughly 25 million kilolitres less fuel burned. Rather than rest on their laurels, Toyota has announced plans to increase its eco-friendly efforts by boosting annual hybrid sales to 1.5 million globally and 15 million total sales by 2020. 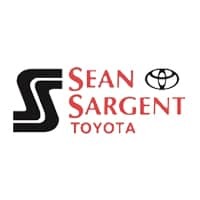 Here at Sargent Toyota we are proud to offer one of Western Canada’s finest selections of eco-friendly vehicles, so if you have been considering investing in a hybrid drop by and test drive one today! You will find us conveniently located here at 10625 117 Ave Grande Prairie.